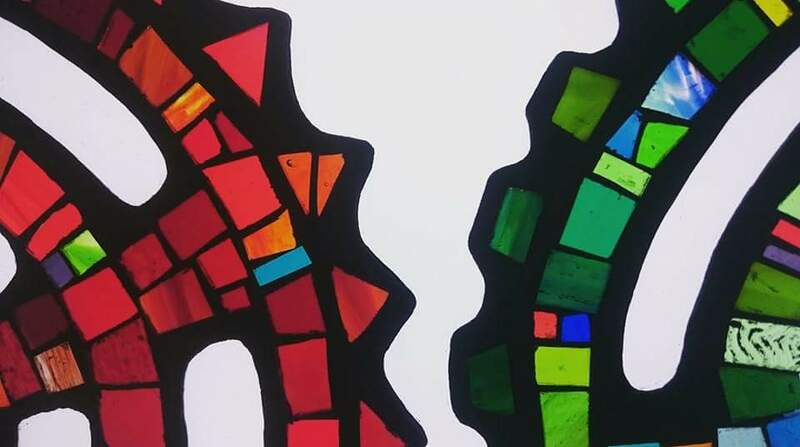 I am a glass artist and make glass mosaics, architectural and art stained glass, glass painting, drawing as well as fused glass jewellery which I sell on my own ecommerce site Thunder Glass. 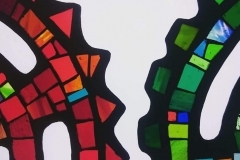 If you are interested in having some stained glass made – architectural, domestic or art pieces or glass painting or simply want to find out more, please do not hesitate to get in touch. You can also find all my social media pages below. 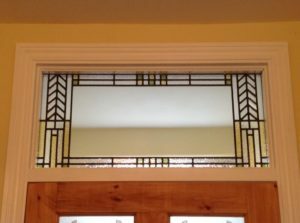 Frank Lloyd Wright inspired transom panel. Contact me for a free consultation. 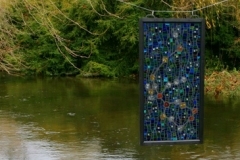 Free hanging stained glass panel. 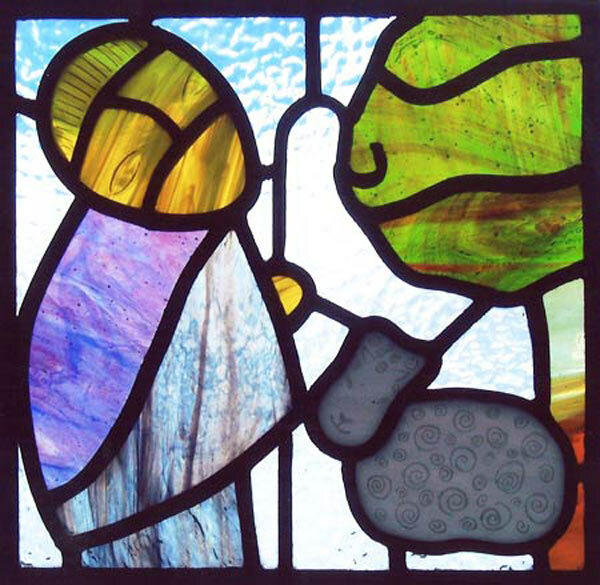 Contact me to discuss commissioning free hanging or architectural stained glass. 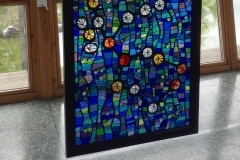 This 3D landscape of my teenage years features fused glass roundels depicting elements that were all-important to my teenage self. 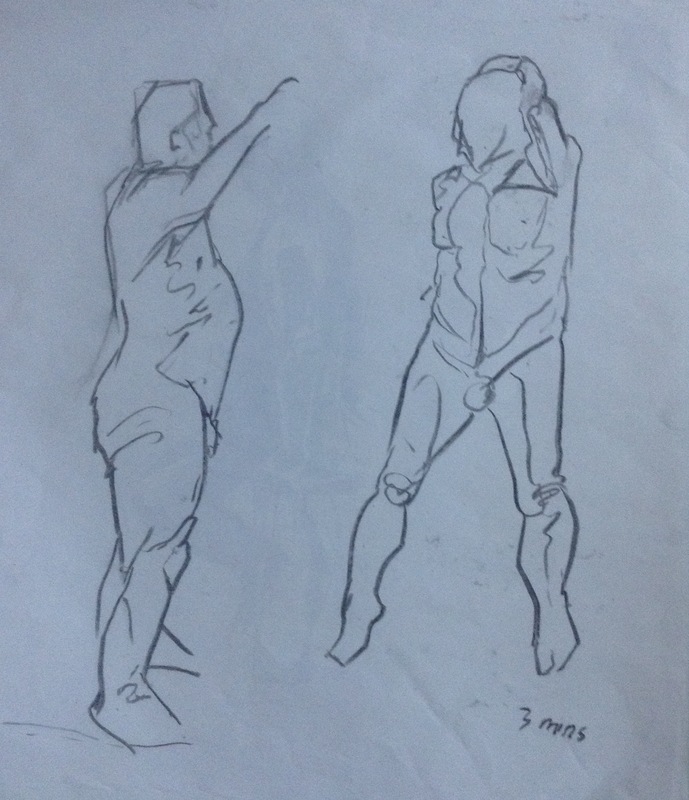 The surrounding triangulated landscape shows the ups and downs of teenage existence. 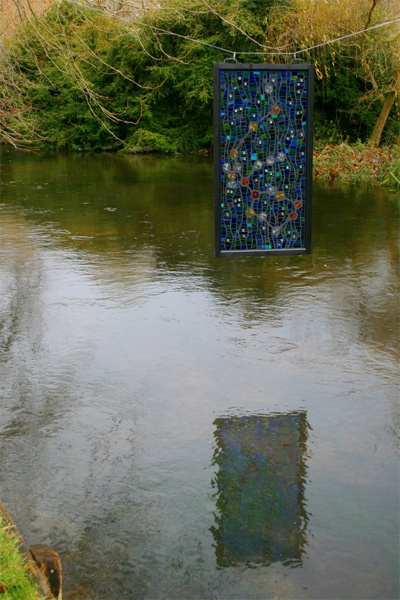 Read more about the making of this piece. 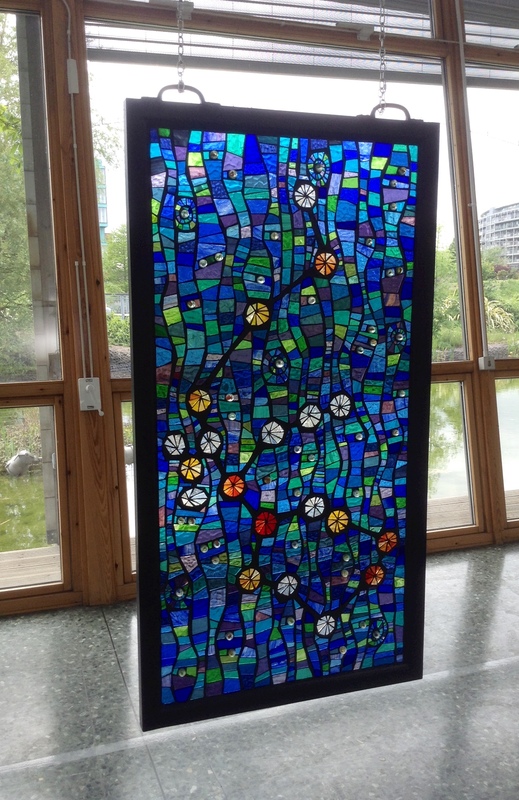 Teenage Landscape can be seen at the British Glass Biennale 2019. 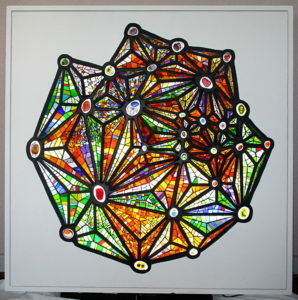 See more mosaics in the Glass Mosaics gallery. 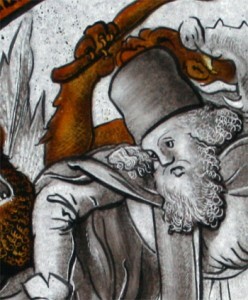 Detail of a replica I made of a 16th century painted glass roundel showing St Anthony Abbot’s test of faith at the hands of a clutch of fantastical demons. The original is in the Metropolitan Museum of Art in New York. 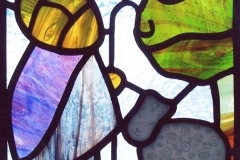 See the full roundel in the Painted Glass gallery.